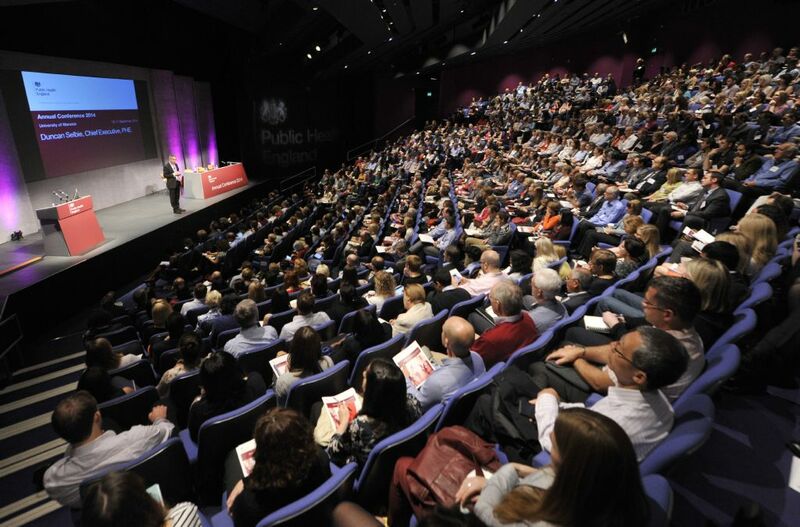 Will you be joining us at this year’s Public Health England annual conference? If you are there is much to look forward to. For me the most enjoyable aspect is the chance for over 1400 professionals to gather in a single venue and enjoy one of the best opportunities to debate, network and socialise in the public health calendar. The theme for this year’s event, on 15-16 September, is ‘Evidence into action’, which aligns with our commitment to promote high quality research and science and work with local partners to translate and implement science into practice. This year there are a number of new features, like expanding the number of tracks from five to six, to include sessions on health protection, infections, non-communicable diseases, PHE priorities, global health and innovation in public health. I’m also excited that this year we have included an entirely new track focussing on local leadership for public health, including sessions developed by the LGA and ADPH. Early risers staying on campus will also enjoy a wider range of informal breakfast discussion topics – take a look at the conference website for more details. As you’d expect there’s a packed two-day programme covering the really big issues that matter, from antimicrobial resistance and climate change to mental health and obesity. Potential public health game-changers are also included – digital health and behavioural insights to name just two. All of PHE’s own key public health priorities are included and much more – I could only ever hope to give the briefest snapshot in this blog. But crucially, you’ll hear from people who will put these issues into context locally, nationally and internationally as each part of this jigsaw is equally important if we want to make a real impact. One of the most valuable aspects of any conference is networking, and there are plenty of useful opportunities. These include attended poster viewing sessions and the exhibition area. I should particularly draw attention to the morning coffee-break period on Tuesday, where we’ll be launching Health Matters, a new series of products for professionals which bring together current evidence on health challenges and make the case for investing in interventions to tackle them. The first focusses on smoking cessation. If you like your networking to be a little more active, take a look at our lunchtime walks, jogging, cycling and singing sessions. After you’ve got your breath back, the variety of a big conference is equally stimulating. Keynote speeches generate a buzz, and this year you’ll hear from Duncan Selbie, Lord Adebowale, Jane Ellison MP and The Rt Hon Jeremy Hunt MP. These sessions will be broadcast in a number of conference areas to ensure you can view them even if the main theatre is full. And there’s always much to be learned in the Q&As and smaller sessions where two-way discussion is the order of the day. I’m particularly looking forward to joining PHE’s Gregor Henderson for a community of interest session on mental health, an issue which cuts across so many of our priority areas. If you can’t be with us in person, please look out for what will hopefully be a lively online discussion. I highly recommend Twitter users follow and join this discussion on #PHE2015, and there will be more to come via this blog. I’ll hopefully find time between the hectic programme of sessions and networking to give my own take on the conference via @ProfKevinFenton.